No Dialect Please, You're a Poet is situated at the crossroads in research areas of literature and linguistics. This collection of essays brings to the forefront the many ways in which dialect is present in poetry and how it is realised in both written texts and oral performances. 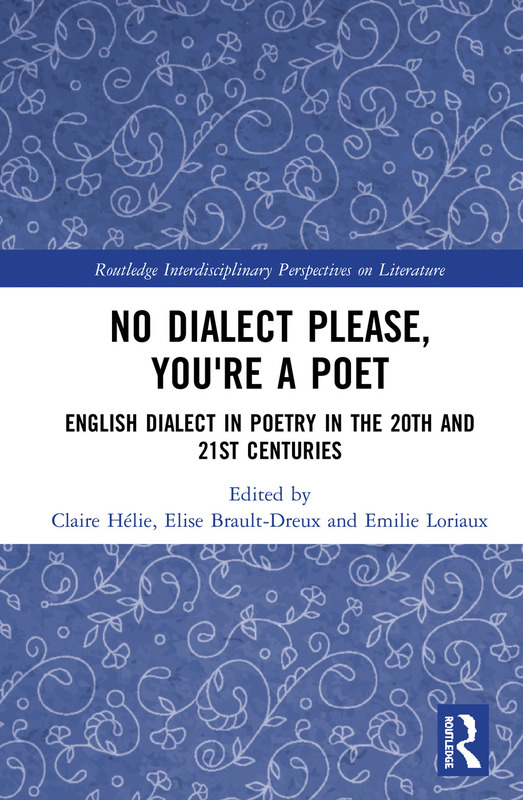 In examining works from a wide range of poets and poetries, from acclaimed poets to emerging ones, this book offers a comprehensive introduction to poetics of dialects from a variety of regions, across two centuries of English poetry. 8. "Between memory and water"/ A phonetic analysis of Ian McMillan’s evocation of life on the English canals in his "fruity Yorkshire Brogue." Claire Hélie is a Senior Lecturer at Université de Lille, France. Elise Brault-Dreux is a Senior Lecturer at the University of Valenciennes, France. Emilie Loriaux is a Lecturer of English at the University of Artois, France.